This post is sponsored by Bertolli. 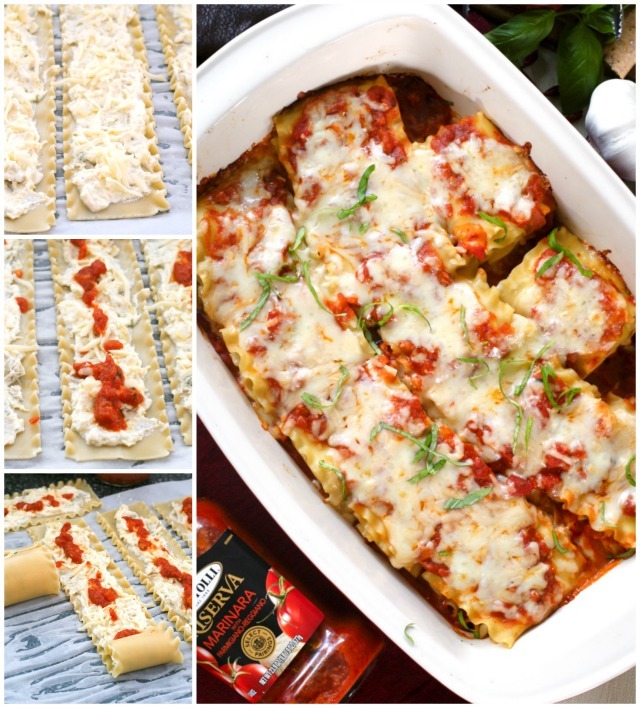 Asiago and Artichoke Lasagna Rolls are a fun twist on traditional lasagna, but instead of being layered, the lasagna noodles are rolled up and stuffed full of lots of cheese, artichokes, and Bertolli Riserva Sauce. If you were to guess my son's nationality by the way he eats, you would think he is Italian. The boy loves all things pasta and would eat just Italian food morning, noon, and night, if I let him. As a matter of fact, my whole family loves Italian food. We even serve Italian on Christmas! Stuffed shells, to be exact. We may not be Italian, but we love our Italian food traditions. 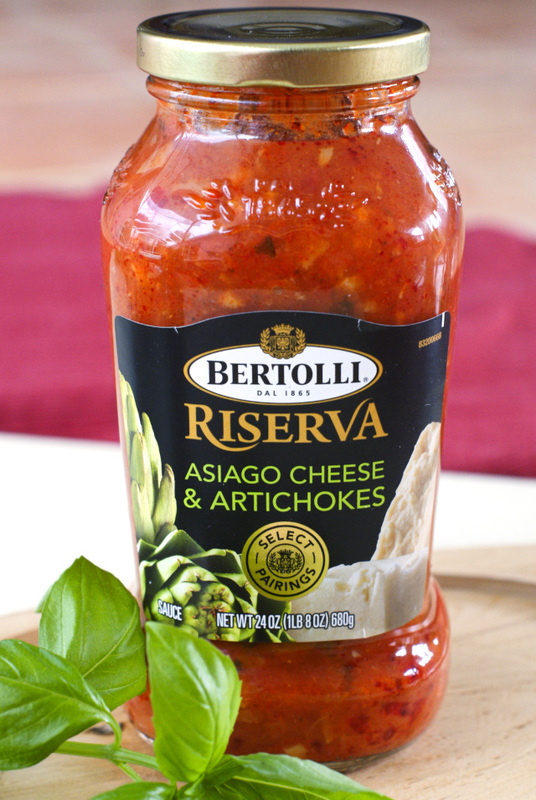 That's why, when the good folks at Bertolli asked if I'd like to try out the new line of Bertolli® Riserva Italian Sauces in honor of their 150th Anniversary, I just had to say yes! I was challenged to bring Tuscany to my table and share my creations using the hashtag #MyTuscanTable. I came up with three fabulously delicious Tuscan-inspired dishes to share! 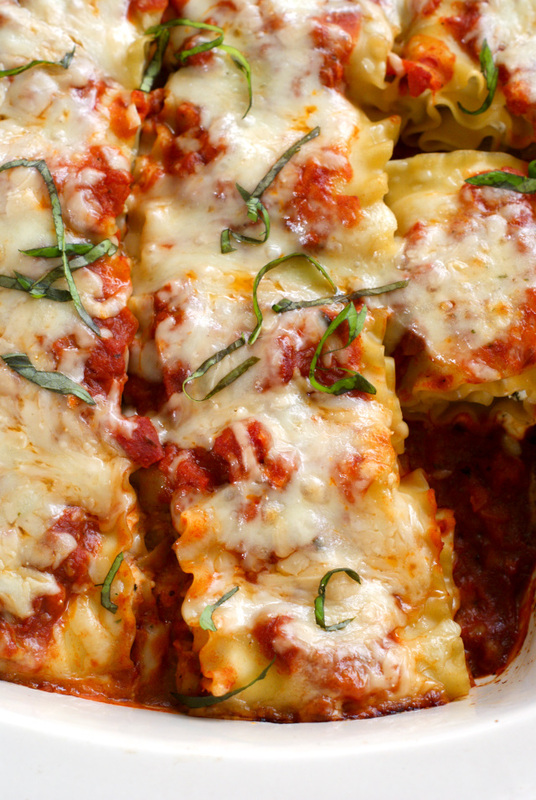 For the first recipe, I created these absolutely delectable Lasagna Rolls. I was inspired by the Riserva Asiago Cheese and Artichokes Sauce for this recipe and the outcome was delish! Just in case you're not familiar with lasagna rolls, let me explain. Instead of being made like traditional lasagna in a layered fashion, the cheesy ricotta mixture is spread onto the noodles and they are rolled up into little bundles. You then top the rolls off with a little sauce and cheese, bake, and you're done! They're easier to make than you think, and preparing them this way makes them a breeze to serve! One roll for the light eaters and two rolls for the big eaters. My kids loved these and gobbled them right up and my husband had nothing but compliments. The fact that this 150th Anniversary celebration was centered around Tuscan inspired dishes was obviously amazing, but my favorite element of the festivities is that for each #MyTuscanTable share during the month of October, Bertolli will donate funds to help No Kid Hungry feed kids in need 10 healthy meals, with a minimum donation of half a million meals! In addition these gorgeous lasagna rolls, I'll also be sharing posts for Baked Goat Cheese with Caramelized Onions and How to Make the Ultimate Cheese Board soon, so stay tuned! In the meantime, join in the fun and help kids in need by sharing a pic on social media of what's on your Tuscan table! Don't forget to use the hashtag #MyTuscanTable when you do! Preheat your oven to 375 degrees. Spread 1/2 cup of the sauce into the bottom of a glass baking dish. In a large pot, boil the lasagna noodles until al dente. Drain and lay flat on parchment paper. In a bowl, mix together the ricotta cheese, egg, artichokes, 1/2 cup of the asiago cheese, basil, parsley, salt. and pepper. Spoon around 1/4 cup of the ricotta mixture onto each noodle. Top with a few tablespoons of shredded mozzarella and a few tablespoons of sauce. Carefully roll up and place into the glass dish. Sppon the remaining sauce over the lasagna rolls and finish with the remaining mozzarella and asiago cheeses. Bake in the preheated oven for 25 minutes. Let sit for 5 minutes before serving. 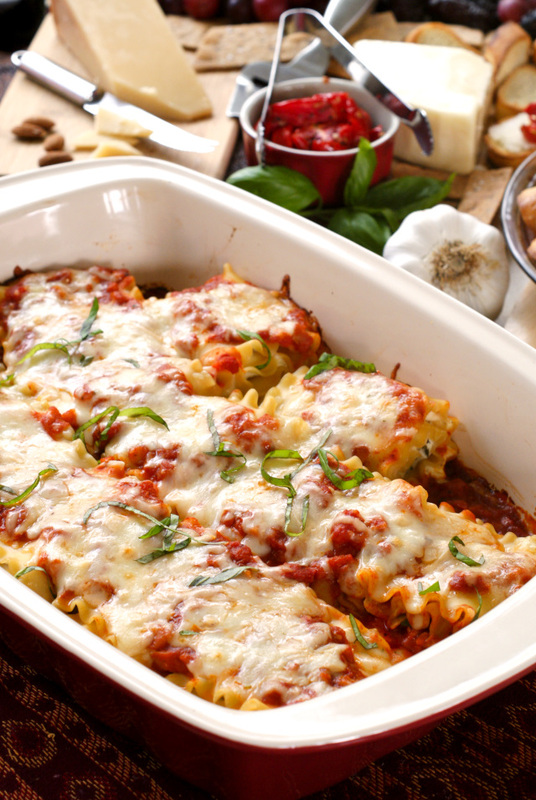 If you like your lasagna meaty, Italian sausage would be a great addition to the sauce! 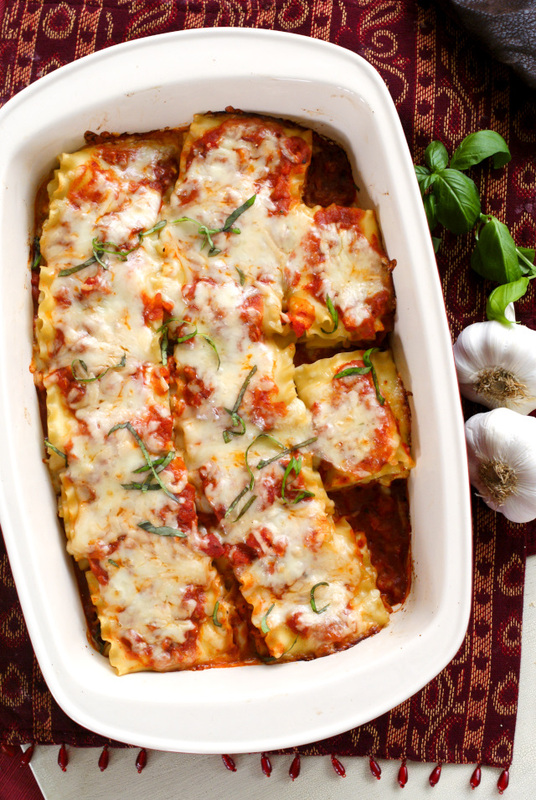 Oh my heavens that looks delicious, I love lasagna rolls so much!! Thanks, Tara! I love them, too. It looks AMAZING! Gorgeous pics & just WOW! can't wait to try. Thanks for the kind words, Gina! Lasagna rolls are so much fun! I've never had a sauce that has artichokes in it. Sounds delish!!! It's so good. Definitely give it a try!